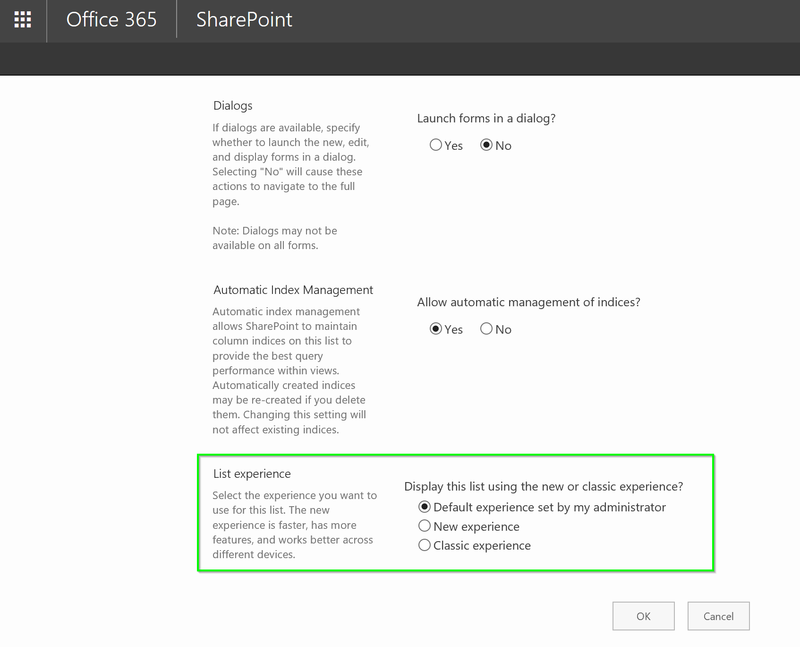 #Office365Challenge We all fight change, but by now I’m ok with the new look in lists / libraries. 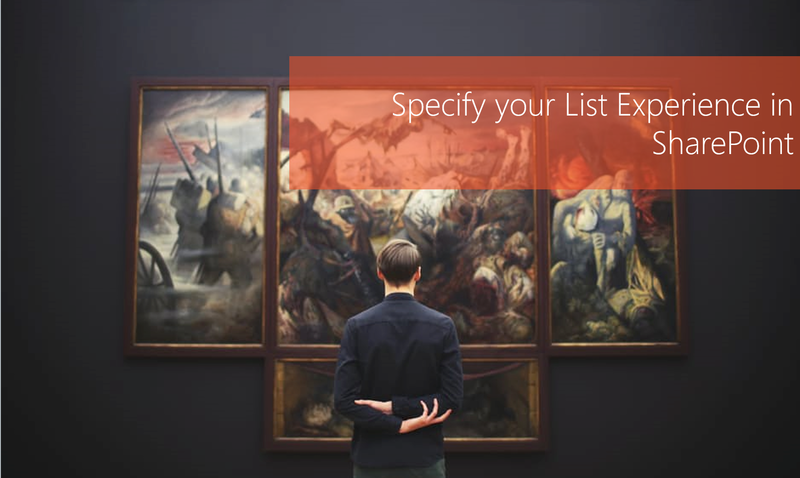 You might however on occasion wish to change the look for a specific list / library. This post will show you how. What does Microsoft say? Select the experience you want to use for this list. The new experience is faster, has more features, and works better across different devices. (from Library Settings page). My internet banking site got upgraded 1 year ago – guess who still clicks on “Use the old look and feel” button every time she signs in – yup. That would be me. Don’t be like me. I’m a Change Management and User Adoption Specialist and even I struggle with change. The more you learn about the new platform / features, the more likely you would be to adopt it. Which is exactly why I started this crazy challenge – to learn about new features every day – and try to use it. Here as some posts around the new Modern look lists and libraries to help you through the change. Please promise me you won’t just change everything back to the classic look? There are some really cool features in the new modern lists and libraries. If you resist this change, then the next updates will just be more difficult to accept.